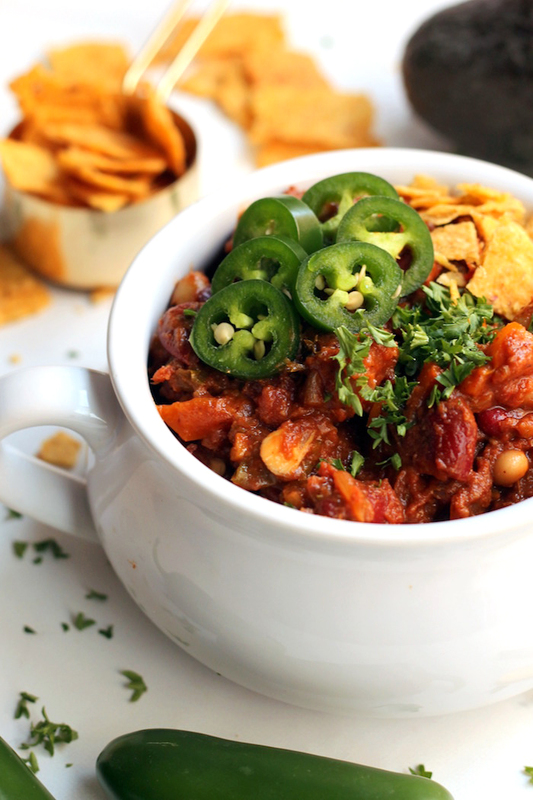 This fantastic vegetarian chili makes super flavorful and healthy meatless meal! Serve it with cornbread for an extra treat! This recipe is a miracle for people who are dairy free. Spanakopita is a traditional Greek dish that uses feta cheese- this is a fantastic alternative for people avoiding dairy (plus it's healthier too!). This recipe is a little more work than most of the recipes we post, though I think the end result is worth it! See the entire recipe and directions at Produce on Parade. 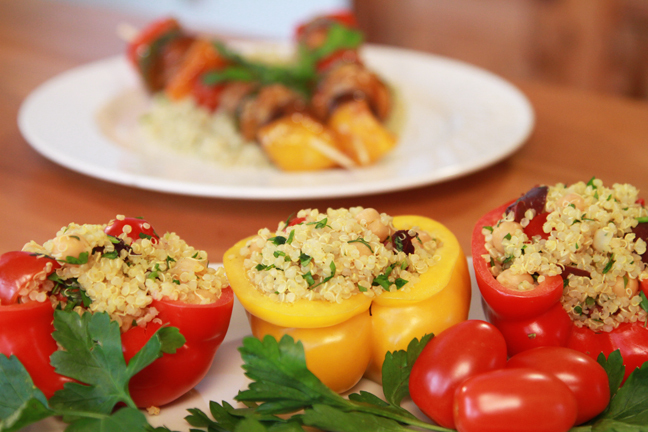 This recipe is delicious and makes wonderful use of the peppers and tomatoes available at Farmer's Markets- plus it's gluten free! See the entire recipe and directions at Laura Theodore. This is a great dairy free sauce that's much healthier (and significantly lower in calories) than the original. I won't say that it's exactly the same as its the original, but it's a nice, healthy alternative! The original recipe was made for two servings, but I scaled it up to use a whole cauliflower and an entire package of pasta. See the entire recipe and directions at Simple Vegan Blog. Zucchini is such a versatile ingredient, and it makes a fantastic substitute for lasagna noodles in this recipe for a delicious, grain free meal! To make this recipe even easier, you can substitute Tofutti's "Better Than Ricotta" that we have available in our store's refrigerated section. See the entire recipe and directions at Chocolate Covered Katie. This is a fantastic twist on the standard pesto recipe that uses greens rather than basil leaves. It's also very nutritionally dense and makes a healthy sauce to use on pasta or other grains. Read the entire recipe and directions at Vegetarian Times. This sauce is also a delicious part of this recipe: Penne and Dark Leafy Pesto and Roasted Squash. These are low carb and delicious, and are easily made dairy free! Read the entire recipe and directions at Make Thyme for Health. This is a great recipe for a fast, healthy lunch or dinner. Sweet potatoes and black beans are perfect partners, and are full of fiber which helps you to feel fuller, longer. I love this recipe blog, and this recipe is delicious. Brussels sprouts are incredibly nutrient dense, and this is a tasty new way to eat them! Read the complete recipe and directions at Bev Cooks. This makes a wonderful light lunch or dinner, and is a great way to clear out leftover veggies in the fridge. This is a delicious and low calorie raw food recipe!